Perfect for what I needed. This wine rack is heavy and sturdy....of great quality. I highly recommend this product and would even give as a gift. 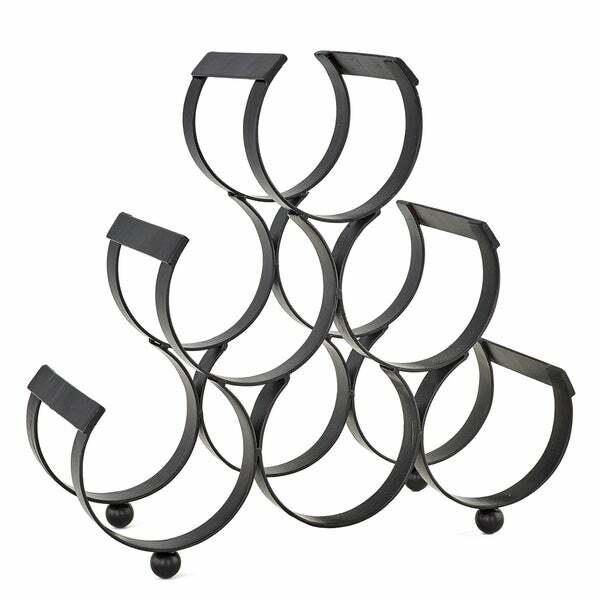 Display your favorite vintages with this sophisticated six-bottle wine rack. The rack keeps the bottles horizontally to moisturize the corks and keep the wine fresh. Crafted of sturdy cast iron, the rack features an elegant black finish to complement any decor. 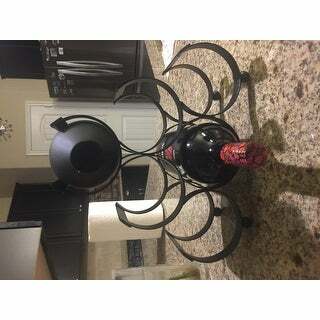 I like this wine rack coz it is cute and does not occupy large area to our counter top. It can handle 6 bottles of wine even the 1.5L wine bottle. The design is what made me purchase this product. It’s very sturdy and looks very nice sitting on my counter. I would recommend this beautifully designed wine rack to everyone. This wine rack is very basic which is what I was looking for. It could be a little sturdier but it works just fine. Item was broken when I opened package. Nice wine rack but unable to enjoy purchase because one side of iron wrought rack was broken when I took out of packaging. Will not purchase another. Great quality....would definitely purchase again... Purchased as a gift and they love it. I like it a lot . It fits on my counter and holds my Faorites!! Will purchase another! It is going to be a great gift for my daughter and her fiance. I noticed that their wine bottles were on the kitchen counter.